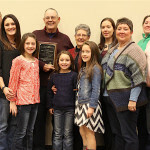 The Charles Boyles Ohio Master Shepherd Award went to Larry Shroyer, a sheep producer and show lamb producer from Logan County. He was joined by his family and grandchildren. 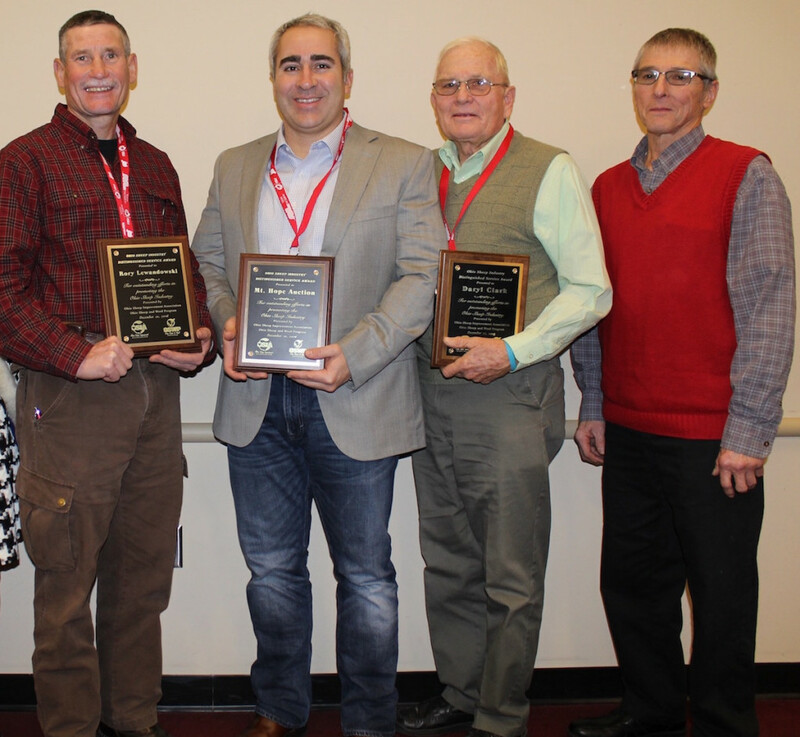 WOOSTER, Ohio — Sheep producers gave special attention to flock health, genetics, nutrition and labor management during the annual Buckeye Shepherd’s Symposium, held Dec. 9-10 at the OARDC in Wooster. A group of Ohio State University graduate students helped open the program Saturday, by discussing their findings related to weaning and nutrition. Mother sheep, or ewes, usually wean their young naturally at 100-plus days after birth, depending on the breed. But producers often wean early, at about 60 days, to increase lamb performance and the reproductive performance of the ewe, and to control environmental factors of where the lamb is located. However, weaning can also negatively affect production, according to the research shared. 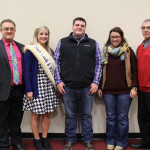 “Weaning is one of the most stressful time periods that goes on with these young critters, and we’ve got to take into consideration what effect that wean stress has on those animals,” said Brady Campbell, a master’s student from Waterford. 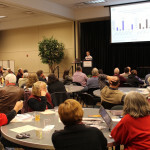 A large crowd of sheep producers and friends of the industry attended the Buckeye Shepherd's Symposium Dec. 10 in Wooster. 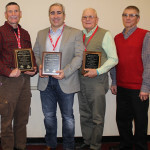 The Ohio Sheep Industry Distinguished Service Award went to Rory Lewandowski (left), OSU Extension educator, Wayne County; Thurman Mullett, Mount Hope Auction; and Daryl Clark, OSIA past president. 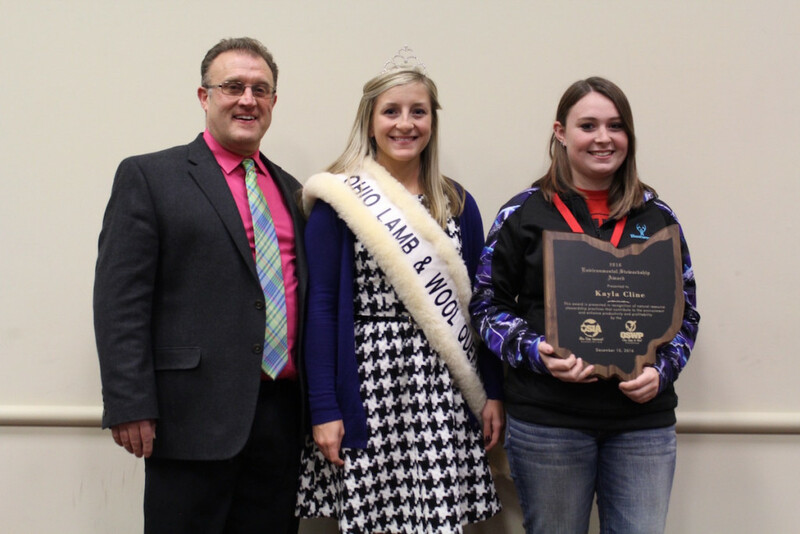 They were pictured with Ohio Lamb and Wool Queen Autumn Miller, of Fairfield County, and new OSIA President Mark McCabe (right). 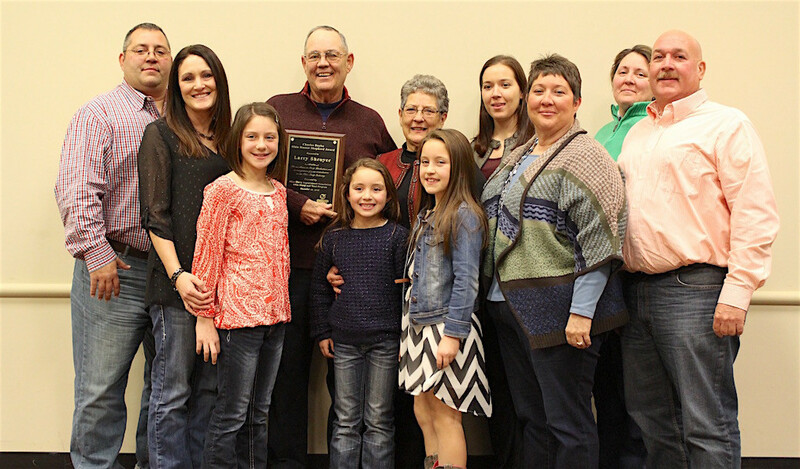 The Ohio Sheep Improvement Association’s Environmental Stewardship Award went to Kayla Cline, of Athens and Meigs counties. 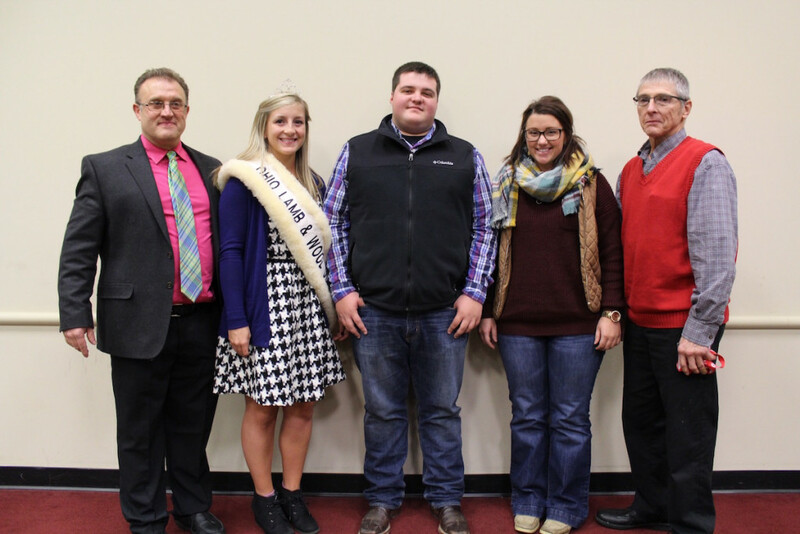 She was joined by OSIA Executive Director Roger High (left), and sheep queen Autumn Miller (center). 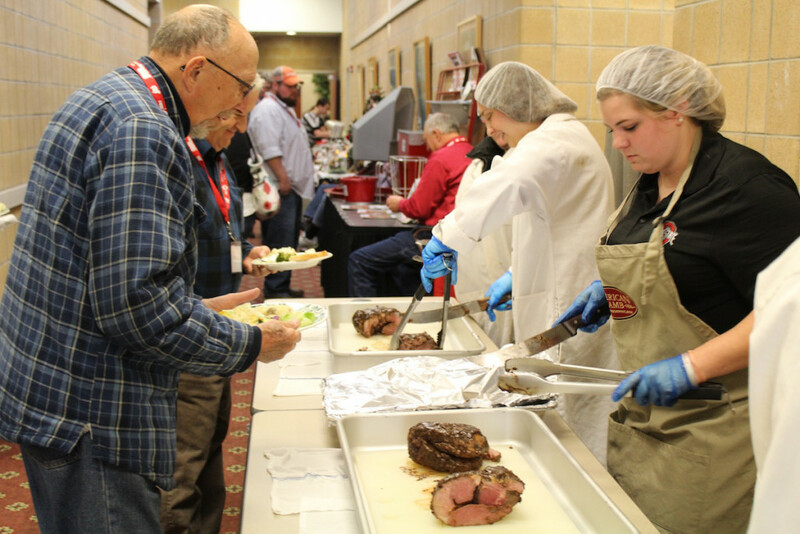 Ohio State University's Meat Science club members served lamb for lunch. 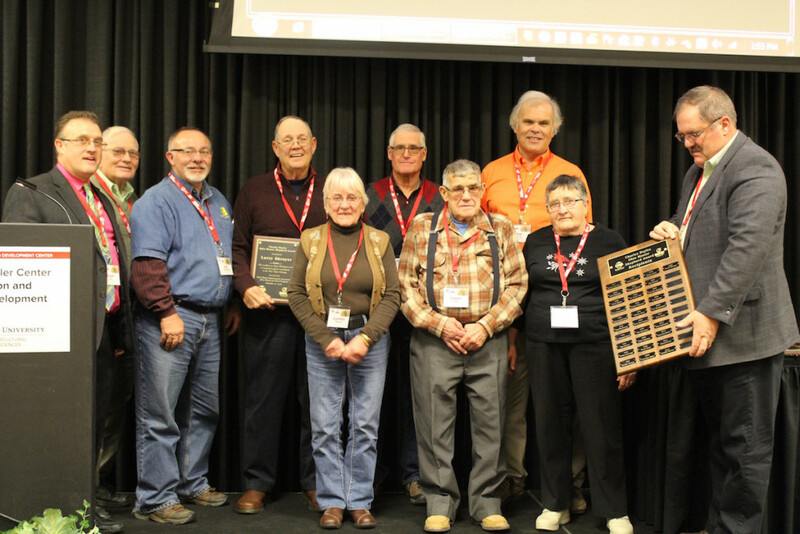 Ohio's Master Shepherd recipients were recognized on stage during the symposium Dec. 10. The Dr. Jack Judy Memorial Scholarship Award was presented to Nick Fowler, of Salesville. The Ralph Grimshaw Memorial Scholarship Award was presented to Delanie Wiseman, of Madison County, and Jacob Wenner (unpictured) of Delaware County. He said early-weaned lambs have their social structure and mother-offspring bond broken, and there can be production issues, like a lower rate of gain. Allison Pullin, a master’s student, gave a report on animal welfare aspects of early weaning. She said early weaning changes three critical factors for the lamb, all in the same day: nutrition, social bonds, and the environment or location. She said one disadvantage to early weaning is that lambs have less time to learn certain behaviors from their mother, including grazing behavior. She said young lambs usually mimic the grazing behavior of their mothers, especially during the 30- to 60-day period, and learn such things as how to avoid toxic plants, and how to select and seek out certain beneficial forages. “There is a significant relationship here in thinking about learned behaviors of lambs,” Pullin said. Of the lambs she studied, she said some of the weaned lambs grazed more heavily than the nursing group, but that the weaned lambs, overall, gained less weight. One explanation, she said, is that the weaned lambs may have been seeking more nutrients, to replace what they had previously been getting through their mother’s milk. In the afternoon, Mark Lyons, scrapie program expert with the U.S. Department of Agriculture, gave a brief update on the National Scrapie Eradication Program and the Scrapie Free Flock Certification Program. Scrapie is a transmissible, fatal, degenerative neurological disease that affects sheep and goats. USDA inspects sheep for scrapie at slaughter, and through on-farm testing. Lyons said in fiscal year 2016, which ended Sept. 30, there were 13 positive cases reported through USDA, with eight from a single flock in Ohio. He said 37,000 samples were collected from sheep and goats in 2016. Since the program began in 2003, some 520,000 samples have been collected, with 471 cases of classical scrapie. Susceptibility varies between flocks based on breed and whether genetic selection for resistance has been used, according to USDA. Owners of infected flocks are encouraged to restock with rams and ewes that are genetically resistant. Lyons reminded producers to also practice biosecurity, to prevent other diseases from affecting their herds. That means segregating and separating different groups of animals, and cleaning and disinfecting supplies and anything moving in and out of the herd. He said a good disinfection also depends on the process, and that producers need to match the disinfectant for the specific thing they’re trying to disinfect. He also said they should start by thoroughly removing dirt, manure and other contaminants, before applying soaps and cleaners. And when everything is clean and dry, they should apply disinfectant. 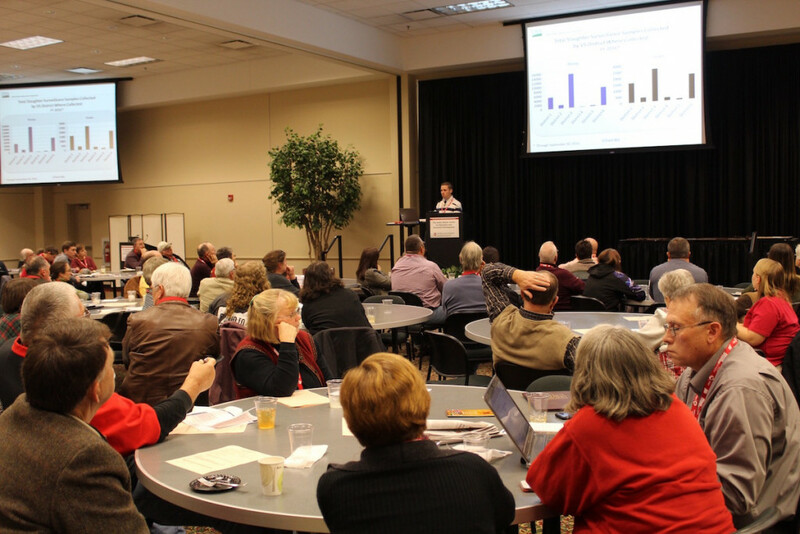 In a talk on labor saving tools and practices, Marion County Extension Educator Tim Barnes, and Delaware County Program Assistant Jacci Smith, discussed tips and tricks they learned from a recent visit to a sheep farm in north central Indiana. They visited the Tom Slack farm, which also operates Slack Club Lambs, and they came back with a bounty of labor saving tips and ideas. One of the first things they picked up on was Slack’s attention to cleaning — from the walls of the structure down to the light bulbs. They noted that dirty light bulbs, while also a fire hazard, can decrease lighting by 50 percent. Another feature of the Slack farm was good record keeping, with the most critical information spray-painted onto the body of the ewe, such as her due date, and the buck she was bred to. Slack is also an innovative farmer, and designs many of his own feeders and gates. By designing them himself, he is able to add rigidity and reinforcement where needed, using wood and also salvaged metal. Smith, who raises sheep of her own and often works with them on her own — said it makes good sense to plan out your setup in advance, especially when you’re working alone. “If you kind of think strategically ahead of time, it’s going to save you time in the long run,” she said. She uses spring-loaded gates, which close on their own, and she suggested having a folding gate in each pen, in case you need to separate a ewe or a lamb in a hurry. Some other things to think about is how sheep will move through the barn during loading and unloading, and all the things that can be fixed before they go wrong. “If you set yourself up for success before you move a ewe, it’s going to help you down the road,” Smith said. A couple of the more creative things she learned from her visit to Indiana included placing tile around water hydrants, when they’re installed, so that when they need repaired, they’re easier to access. For Tom Slack, that often means a couple tennis rackets, which he uses to cling together to produce noise, or to spread his arms and cover the length of an ally way. Newly elected officers of the Ohio Sheep Improvement Association include president, Mark McCabe, of Marion County; first vice president, Mike Stitzlein, of Ashland County; second vice president, John Anderson, Wayne County; and past president is Shawn Ray, Noble County. 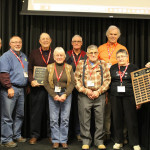 Serving on the OSIA board of directors are Denise Percival, Dusty Knapke, Bob Hendershot, Kathy Bielek, Leah Amstutz, Allen Johnson, Brady Campbell, and Tim Barnes.